If you want the best quality of hiking clothes, you should go with synthetic materials that will keep you dry when you start sweating. Although you might feel tempted to wear a soft cotton t-shirt, you should not because cotton will trap your sweat. The best material for hiking is one that wicks away moisture as soon as you sweat. Synthetic materials such as polyester let your body breathe while releasing all its pent-up heat. If you are looking for something that will keep bad odor at bay and wick away sweat, you should opt for merino wool. It will make a good base layer in cold weather but you can also wear it in the summer. Make sure that you wear a long-sleeved shirt to protect your skin from sunburn and bug bites. Insulating – although clothes do not generate heat, you should opt for fabric that insulates your body by keeping the heat that it produces intact. Breathable – you should ensure that your clothing layers are breathable if you want the base layer to dry faster. If the layers do not breathe collectively, your sweat will not dry properly. Windproof and waterproof – the outer layer should protect you from the elements. This means that you should wear a windproof and waterproof jacket as the outer layer. Sun protection – you should buy clothing that protects you from UV rays. Such clothing has a UV protection factor, which means that it will shield your skin. Wicking – the fabric that touches your skin needs to be able to wick away moisture and move your sweat to the outer layers of clothing, where it will dry faster. The decision to wear pants or shorts is yours to make. Although shorts are much cooler than pants and offer you more freedom of movement, you cannot wear them in cold weather. If you opt for pants, make sure that they are made of tough, quick-drying fabric like nylon or spandex. Pants will protect your legs from poisonous plants such as poison ivy and keep you warm as the temperatures drop. You can choose from many different types of hiking boots. You have to make sure that you choose a pair of boots that is comfortable, weather-appropriate, and durable. If you are planning to hike on a trail that is wet and muddy, make sure that you opt for boots with Gore-Tex material to keep your feet from getting wet. If the trail you will be hiking is rocky, you should opt for boots that are at least ankle length and offer more support for your feet. When shopping for boots, you should try on everything before making a decision. Wearing the wrong shoes can leave your feet with blisters and this will make your hike very uncomfortable. Once you have the right pair of shoes, you should choose good socks made of synthetic materials or wool. When you buy the right socks, your feet will not be stuck with sweat the whole day, making your hike uncomfortable. A hat is the best way to protect your face from the sun’s harmful UV rays. A good hiking hat should be full-brimmed and water-repellent to ensure that your head stays warm even when it rains. Opt for a hat that is breathable and wide enough to keep the rain out of your face. You should not leave your house without a rain jacket even if the weather forecast predicts no rain. Weather conditions have a way of changing quickly. Therefore, you need to pack a rain jacket that is breathable and waterproof if you want to keep your clothes from getting wet. Rain jackets use a technology that is advanced to wick away body moisture and sweat while keeping rain and humidity outside. If there is an unexpected storm, you can use a poncho to stay warm and protect your items. However, you should know that a poncho is not as stylish or comfortable as an actual rain jacket. Before you embark on a hiking trip, you should assume that the weather will be unpredictable, especially if you will be hiking to a higher altitude. The best way to protect yourself from adverse weather conditions is by layering your clothes. Make sure that you put on three layers of clothing then remove the top layers when it gets hot. For the base layer, you should go with a moisture-wicking but lightweight fabric and wear a medium-weight fleece over it when the weather is chilly. You can wear a warm jacket on top if the weather is too cold. 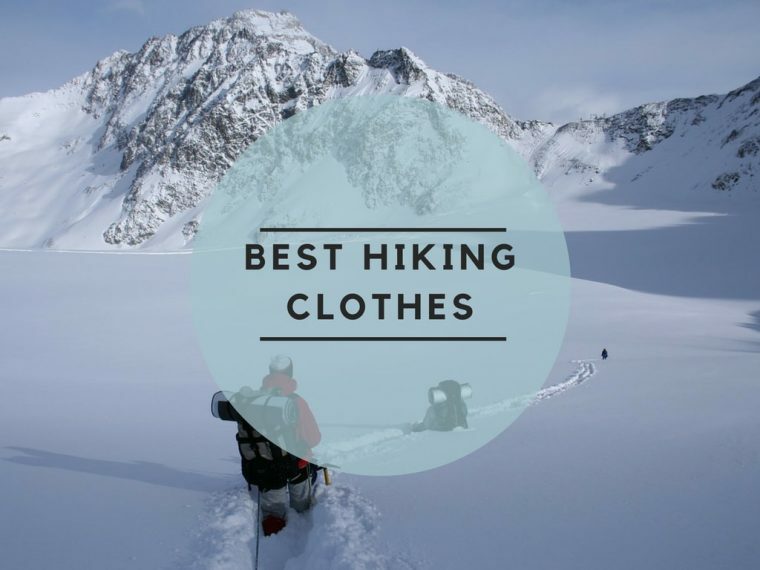 Wearing the right clothes for your hiking trip means the difference between getting sweaty and being comfortable for the duration of your expedition. If you are hiking with friends and want to promote team spirit, you should think about getting custom tees such as personalized t-shirts printed by the Tee Hive. This will motivate your independent team members to work as a team instead of alone.